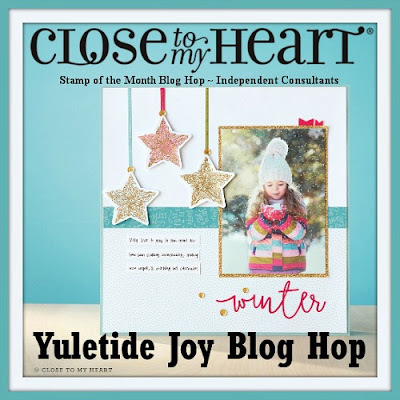 Thank you for joining us for this blog hop where we are featuring the Stamp of the Month, "Yuletide Joy". It retails at $17.95 but can be yours for $5 with a qualifying order, this month only. You can read details by clicking here. 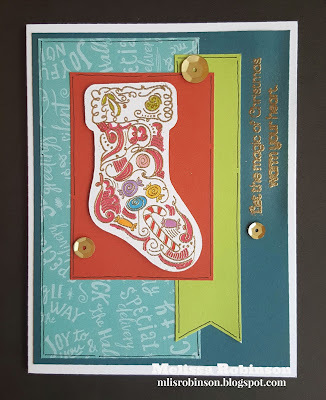 Here is a fun and whimsical card I designed using the color combination of the City Sidewalks paper pack. The stocking image was Gold Embossed on White Daisy cardstock. ShinHan markers were used to highlight the image. The sentiment, "Let the magic of Christmas warm your heart", was also gold embossed. A few gold sequins were added to finish it off. I am looking forward to sending it to someone...just not yet! 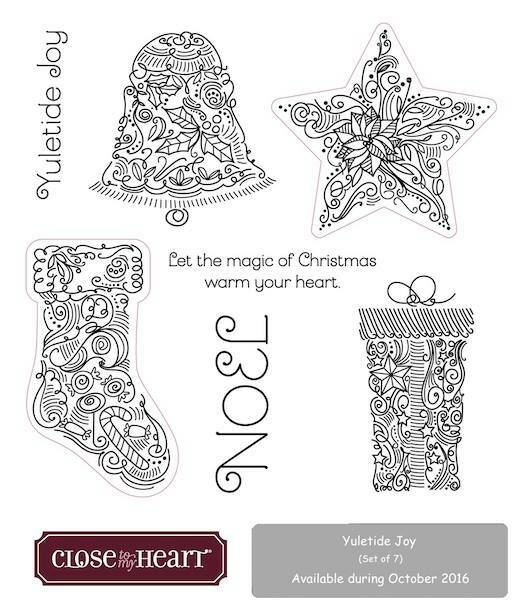 Head on over to Melinda's Blog where you are sure to find some fun inspiration using this stamp set. Enjoy this first day of October! Love how you put the sentiment on the side! Me too, I like the sentiment on the side and esp the lines you added around each layer, cute card! Cute card, like the color combination. 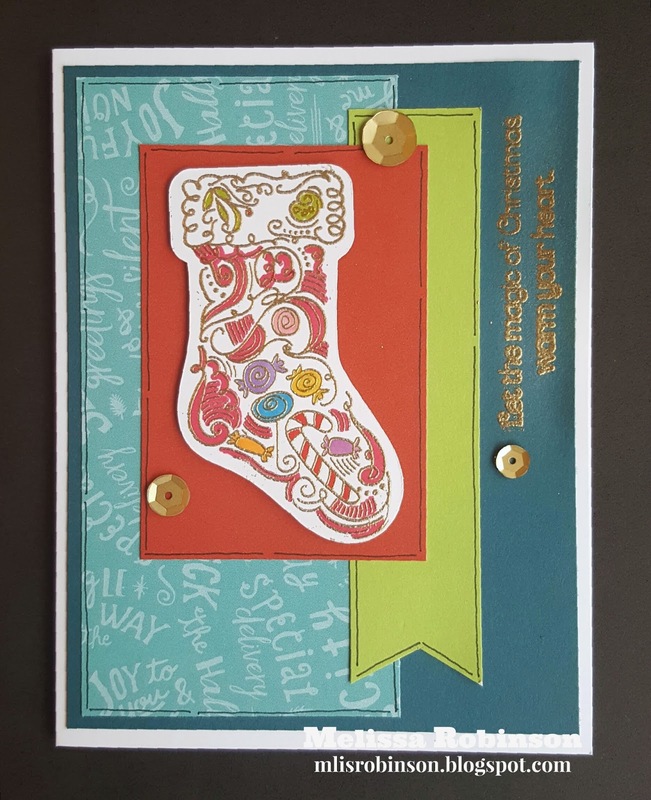 Love how you added the color to your stocking and the gold embossed sentiment. Such a happy card. Your colors are striking. Love it! CUTE!!!! Can't wait to play with this set! I love the way you colored the stocking--it makes all the details come to life. Thanks for inspiring me today. The gold sequins add the perfect finishing touch, what a great card! The gold touches are so nice! What I love most is how your coloring makes all of the elements pop. I never even noticed the candy cane inside the stocking!